City cars are designed for urban dwellers. They tend to be small, fuel efficient and maximize available space. Some modern ones even have funky looks. 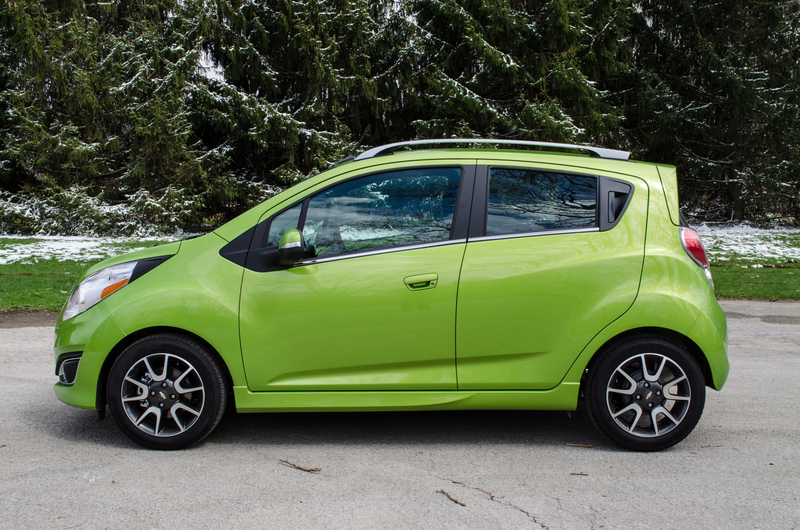 Chevy dropped off their city car, the 2014 Spark, for me to take a look at. I might not live in a big city, but there are still some impressive qualities to General Motors’ smallest car. The Chevy Spark doesn’t have a lot of power. 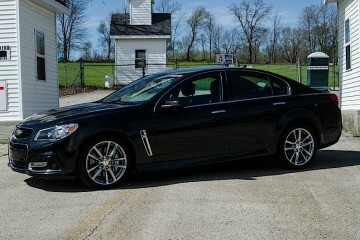 It has an 84 hp 1.25L engine that makes 83 lbs/ft of torque. Mated to a continuously variable automatic transmission (CVT) you won’t be going anywhere quickly. I don’t recall ever driving a car slower than this one. The 2014 Chevy Spark in Lime. However, if you only look at horsepower, you are missing the point of this car. 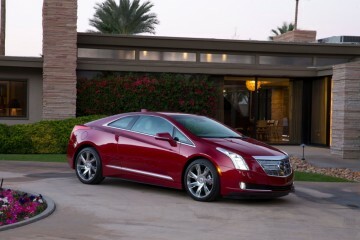 At $17,210 the car has features that you wouldn’t expect in cars costing more. For those looking for a runabout to get around town, do the grocery run, be easy to park and be safe, the Spark dutifully obliges. Here are four things that surprised me about the Spark. 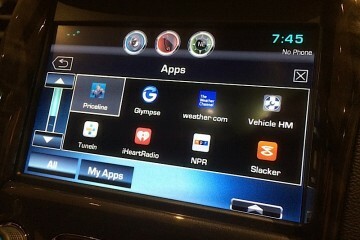 The most appealing aspect of the Chevy Spark would be the infotainment system. MyLink comes standard on our 2LT trim level, but if you purchase a lower trim level Spark, you can add the MyLink screen for just $200. MyLink gives you a lot of options. SiriusXM gives you access to hundreds of satellite radio stations starting at $9.95 per month. You can plug in an iPod or other music player via USB or an auxiliary jack. You can even use your smartphone and access Pandora, iHeartRadio or TuneIn Radio for music sources. We recommend having a good data plan on your smartphone if you plan on streaming music, but appreciate free alternatives to SiriusXM. For iPhone users, MyLink also brings Siri Eyes Free. When connected via Bluetooth, you just press and hold the voice command button on the steering wheel and you have full access to Siri. You can make a phone call or send a text message. You can also request music and have it played through the car’s stereo system. You can do it all without having to remove your phone from your pocket. In fact, it will not even light up your phone’s screen when in use in an attempt to prevent you from driving distracted. There are a few drawbacks. Siri doesn’t always do the best job of interpreting a text message. When the system reads it back to you, it can be difficult to understand her pronunciation of a word. With Eyes Free, you have no way of previewing the message before sending. The system will ask for permission to send, but you have no way of visually seeing if you said a particular word or phrase. BringGo in use on the Spark. You can’t buy real-time navigation from Chevy in the Spark. Instead, you connect your phone to the car with a cable and buy the $60 BringGo app. With that you get three years of map updates and real-time traffic information. 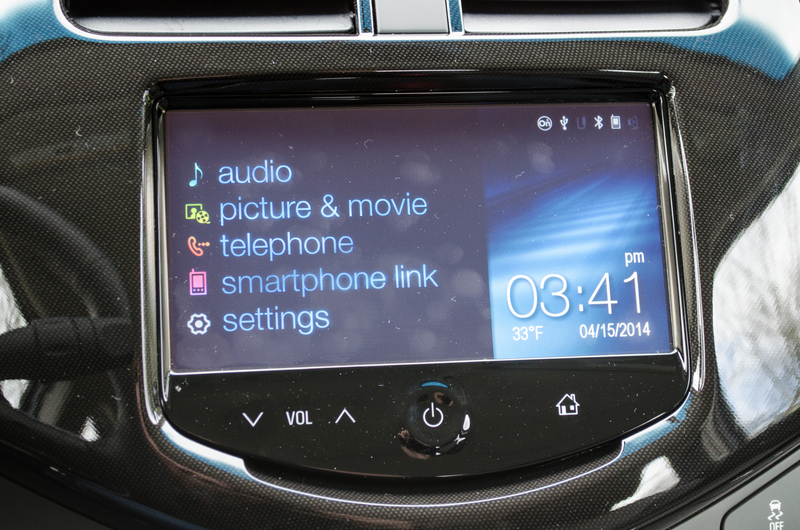 You control the system through the MyLink screen in the car and not through the phone. 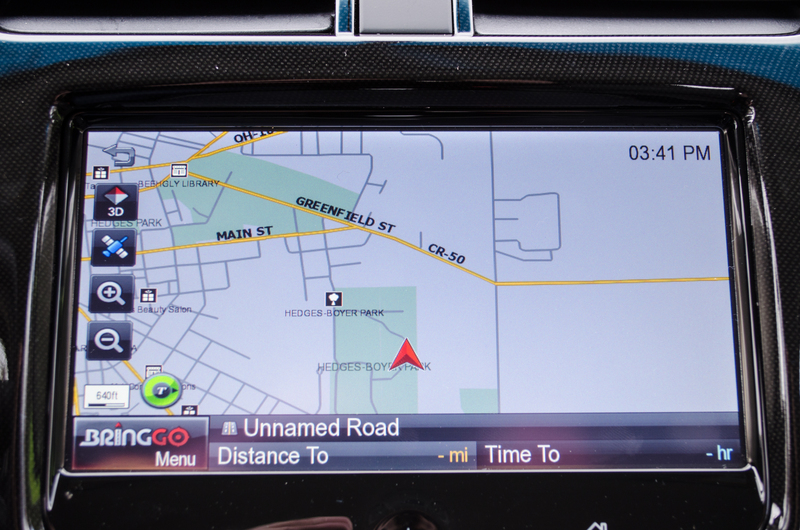 To add integrated navigation to a vehicle like the Ford Fiesta, the buyer would have to pay $795 for the map data. That wouldn’t include real-time traffic or map updates. Being one of the smallest cars on sale in the United States, I expected the vehicle to not be that safe. Ultimately physics comes into play; crashing a Spark into a F-350 Super Duty will cause more damage to the car than the truck. But in crash testing, the Spark scores high numbers. The Spark performed well in IIHS testing. The Insurance Institute for Highway Safety (IIHS) rated the Spark a Top Safety Pick. 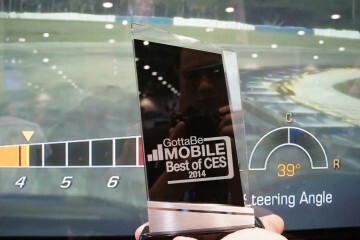 It received the highest rating in all testing categories, except for the infamous small overlap front test. In that test, the Spark scored the second highest rating of Acceptable. The 10 standard airbags help the Spark score such a high rating for such a small car. In our preview of the Spark, I likened the airbag deployment to the airbag suit James Bond wore in The World is Not Enough. 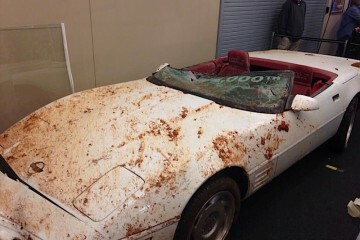 In reality, there are airbags everywhere you look. Chevy has bragging rights over the competition in this area. It makes the seven airbags in my Fiesta seem inadequate. 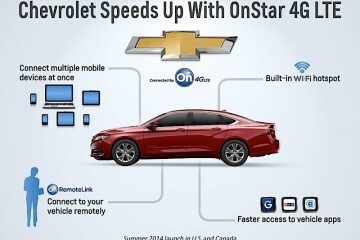 Every Chevy Spark also includes OnStar. OnStar costs $9.95 per month for their Safe and Sound package, which includes the crash notification safety feature. In the event of an accident, the car will automatically notify emergency responders to the accident location and severity. In addition to the safety, OnStar allows you to control the car from your smartphone, including locking the doors and starting the car. The Spark has a surprising amount of space. In order to make a car this tiny, compromise must happen. The Spark’s front seat space carries my 5’10” body around in relative comfort, and the seats have lumbar adjustment. Front legroom sits at 42 inches. For comparison, the 2014 Jeep Patriot Latitude we previously tested only had 40.6″ of legroom up front. People taller than me will have a hard time getting comfortable behind the wheel. You’ll also be rubbing elbows with the passenger unless you’re tiny. 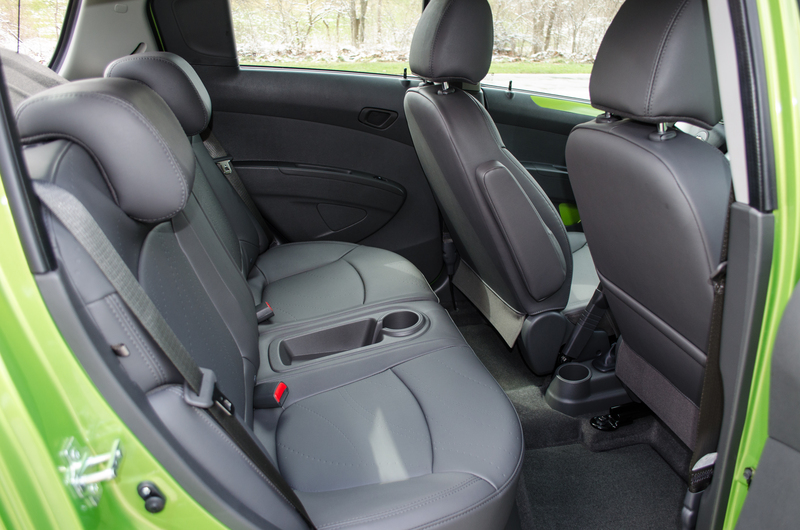 Rear seat passengers have 35.2″ of legroom and a center console for with a cupholder instead of a middle seat. In contrast, my 2011 Ford Fiesta only has 31.2″ of rear seat legroom. If you looked at both cars side-by-side you’d have a difficult time believing occupants have more space in the Spark. Spark’s rear speakers become obtrusive when the rear seats are folded. The differences lie in the amount of space the cars have behind the second row seats. 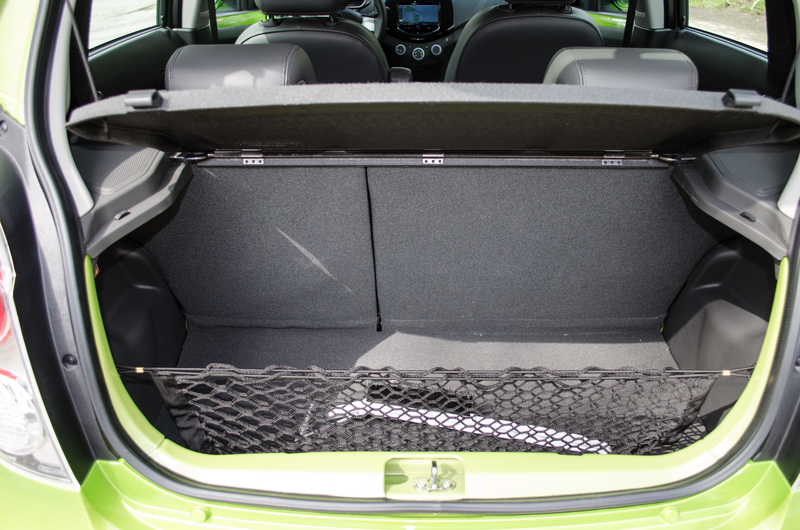 With both second rows in place, the Spark only has 11.4 cu/ft of cargo capacity and the Fiesta has 14.9 cu/ft of space. Rear speakers in the Spark also limit the size of objects that can fit into the back. 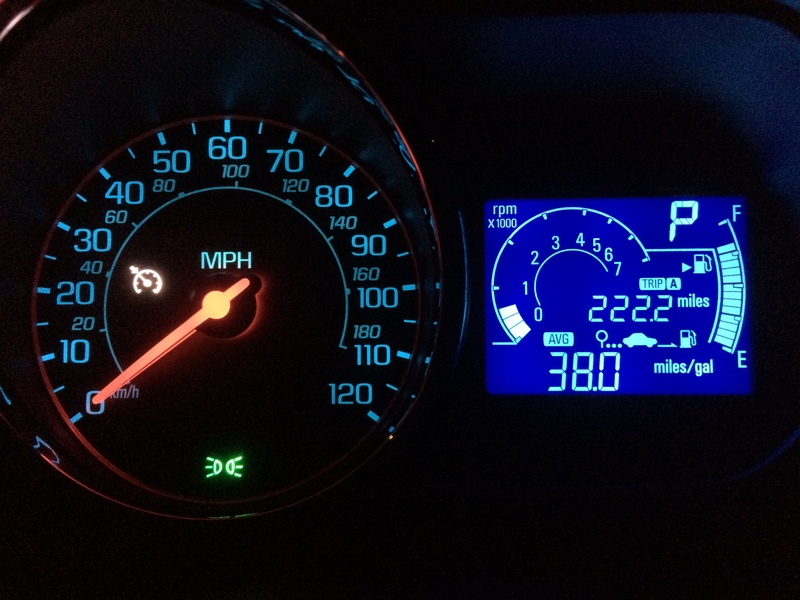 The Spark’s fuel economy was as good as Chevy claimed. 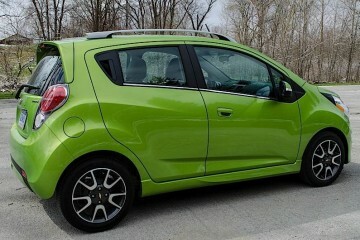 According to the official rating, the Spark will achieve 30 mpg in the city, 39 mpg on the highway and 34 mpg combined. In my experience, the car can easily achieve those numbers. On several trips where I kept the speed below 60 mph, the Spark would hit 44 mpg. Overall, the fuel economy didn’t disappoint. The 9.2 gallon gas tank also gives you the impression you’re saving money. When I had to buy gas, I didn’t spend as much as I expected. 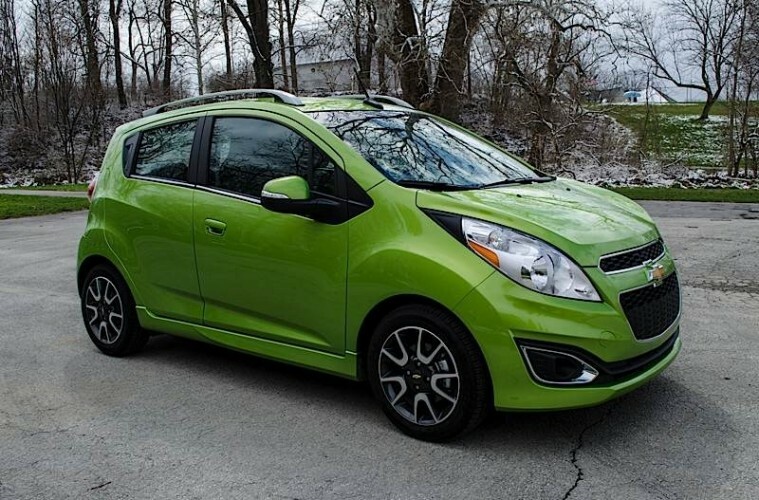 Overall, the 2014 Chevy Spark is a winner. MyLink really impresses. There aren’t any systems that are perfect but Chevy has come a long way in designing hardware that people like me can enjoy. For a car that only costs $17,000 with this much kit, it would be hard for me to not recommend it. 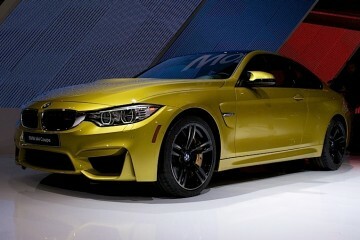 I would pick this car over the Scion iQ or Smart Fortwo. 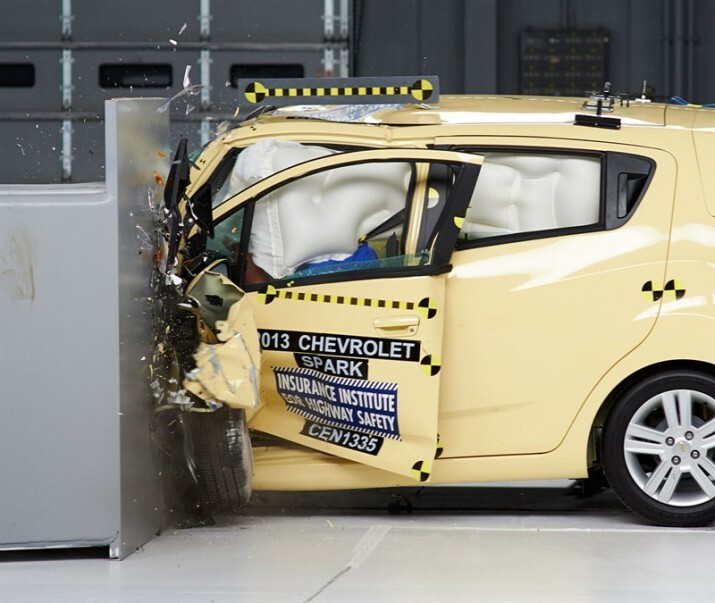 The Spark carries a better IIHS crash test rating than any car in its class. That includes the Mini Cooper and the Ford Fiesta. That’s another big victory for the Spark. The more powerful Ford Fiesta drives a bit nicer and gets almost the same fuel economy. At the end of the day, I’d encourage you to drive a Fiesta before making your final decision. But if you live in town or don’t need the passing power, you can’t overlook the Spark. Pros: Modern Infotainment. Passenger Space. Final Thoughts: The safest small car you can buy also has the best technology.